Marsh is an Equity Partner in the firm's Tampa office. Marsh's practice is concentrated in the areas of commercial litigation, commercial real estate transactions, and a variety of real property related matters such as construction and eminent domain. Over the past decade, Marsh has represented clients in dozens of transactional matters, primarily representing lenders or commercial landowners in connection with the acquisition and financing for horizontal and vertical development of new projects. Marsh moved to the Tampa Bay area in 1971, and was raised in Brandon, Florida. As a native to the Sunshine State, Marsh currently resides in Lithia, Florida, and is an active member of various business and civic organizations both in his hometown community of Brandon, as well as in Tampa. 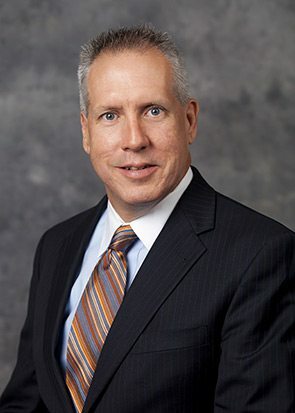 His involvement includes service over the past two decades as Chairman of the Greater Brandon Chamber of Commerce (2008), Director and Executive Committee Member of the Downtown Tampa Partnership (2011-present), and Consulting Attorney to the Brandon Community Advantage Center (2007-2012). Marsh is a married father of four with children ranging in age from middle school to college. He and his family are actively involved in youth and high school sports, and they are also active and supporting members of St. Stephen Catholic Church. The family’s first passion is just about anything that can be done outdoors, and Marsh is an avid road cyclist and mountain bike enthusiast.